As thousands were evacuated across multiple counties in Texas due to horrible flooding, one man and his family are living high and dry thanks to something he bought on the internet. Wagner told KHOU of Houston that he traveled to Louisiana to purchase the dam, and that it took him and two other men a few hours to fill up the 400 feet of 30 inch high tubes made of plastic and fabric with water. “To not know what that level was going to stop at, I needed to prepare for something that no one has seen,” said Wagner. As the waters rose to around 27 inches, the Wagner household remained protected. “I was the crazy guy. Everybody was kinda going by, laughing at me. But today they are really impressed with this AquaDam,” Wagner said. The dam cost him around $8,300, which he said was a small price to pay for not having to deal with home repairs after the waters receded. 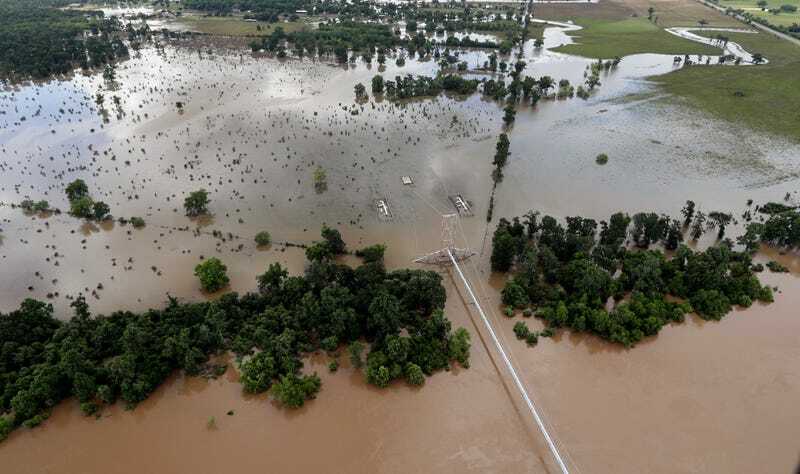 Late last month, the Brazos River Authority announced that many of the surrounding counties had been listed as disaster areas, along with others throughout Texas. 46 counties statewide were at risk due to high flooding from rising river waters, including Brazoria. The flooding from the Brazos River has greatly impacted the surrounding area over the past month. Heavy rain has pelted the state, causing flood watches since late May. According to the Houston Chronicle, around two-thirds of the population of Brazoria County had been affected by the flooding as of June 7, with some small areas entirely submerged.